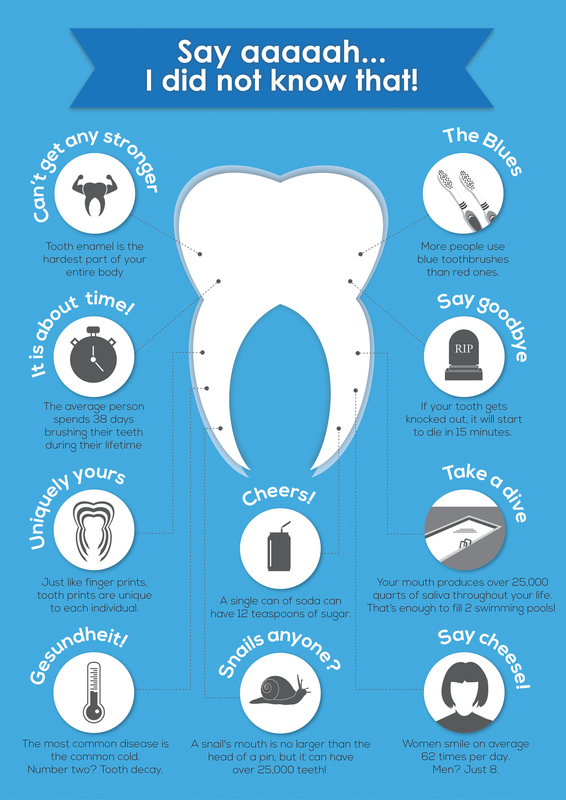 How much do you know about your teeth? Chances are you have been told many times how to brush and floss properly or what a root canal therapy is. Therefore the dental professionals at Kaizen Dental share 10 amazing tips about your teeth and mouth you probably did not know about. How much saliva do we produce? Or what do teeth and fingerprints have in common? Check out the Infographic below and find out by yourself!